Plants available with stationery & rotating die. Apllications Plastic bags, Vest bags, Liners, Garbage bags, Packaging films, Stretch film, Shrink film, Detergent bags etc. Heavy Duty Film for production of agriculture film, green house film, and lining film. The lines is manufacture taking into account each customer¡¦s specific requirement. 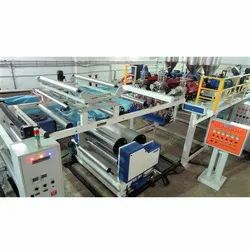 We offer a wide assortment of fully Monolayer Blown Film Extrusion Line that suit a wide assortment of applications and comes in many capacities. We manufacture these products and sell them in the market at very reasonable prices. 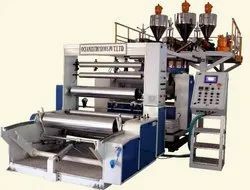 We are among the reputed organizations, deeply engaged in offering an optimum quality range of Blown Film Extrusion line. We are leading manufacturer & exporter of blown film dies / rotating film dies for blown film manufacturing in India. S. S. Mechanical Engineers PVT. LTD.